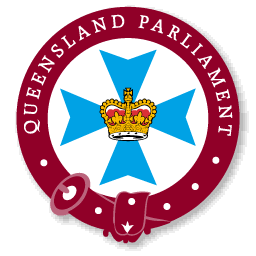 All Queensland schools can participate in tours of Queensland Parliament House. As your local member of parliament, David is happy to host these school excursions and these tours can be arranged through his office. The office can ensure that David is aware of your visit and that your group is acknowledged in the Chamber by the Speaker during Question Time. Depending on David’s Parliamentary schedule he is happy to come and have a chat with school groups and organise a photo opportunity with students. Parliamentary Attendants conduct a variety of tours from Monday to Friday each week that are designed to suit the school groups. The maximum tour group size is 30. Special group tours, for schools and other large organisation group bookings, operate Monday – Friday. The tours commence from the Parliamentary Annexe public entry in Alice Street. During the tour you will visit the Parliament House foyer with grand staircase, Legislative Council (Red Chamber), the honour boards and leadlight window and on non-sitting days Legislative Assembly (Green Chamber), Mace, Windyarn (the Parliament’s didgeridoo), Speaker and Sergeant-at-Arms costumed mannequins or on sitting days the Legislative Assembly Gallery. To organise a tour please contact our office on (07) 4602 3100.